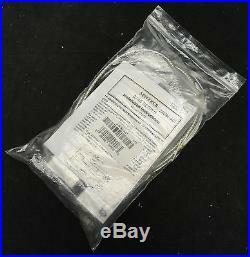 LOT OF 7 Sentrol 1085WN-ADT 1.5 Closed Loop 100VAC 7.5W Surface Mount Contact. New Other(see details). All parts, accessories, cables, etc. Are only included if pictured or listed in description. THESE UNITS ARE NEW OPENED BAG UNITS. 6x NEW opened bag packaging. 1x NEW with packaging (missing screws). Box Dimensions (L” x W” x H): 8 x 8 x 8. On a scale from 1 – 10, with 10 being in new or excellent condition, this item is rated as a. Please review images thoroughly before purchasing. Additional information may be found searching online. We do not have additional info. Only pictured items will be included. All parts, including accessories and cables. Pictured or listed in the description. All pictures are taken in house. As a large liquidator, we do not carry additional information beyond what has been provided to us above. DEVICES only and not for all our products. The sale of this item may be subject to regulation by the U. Food and Drug Administration and state and local regulatory agencies. This unit has been used. It has been cleaned in accordance with the manufacturers guidelines by the medical facility from which we received it. Our Contact: SVC ASSET MANAGEMENT, INC. Let us save you time & aggravation by showing you the true meaning of customer service! We’ve been in business for over a decade. Your satisfaction is extremely important to us. We strive for excellence and appreciate the opportunity to work with you in resolving any issues. Since we’re a liquidation house that deals with many vendors and have thousands of products online, it stands to reason that issues will arise occasionally. We’re eager to find an amicable solution when it does. We know you have a choice and appreciate your business. Let us earn your loyalty! DOA stands for Dead On Arrival, meaning that the item did not function properly when it arrived. Please read below for exclusions. Toner, ink cartridges, bulbs, batteries, all As-Is items, missing accessories not stated in our ad as pictured, any and all compatibility issues, etc. Compatibility issues are not considered DOA. Please check with your country’s requirements before purchasing. Please call to verify we’ve received your request. International customers must arrange for their own carrier pick-up. 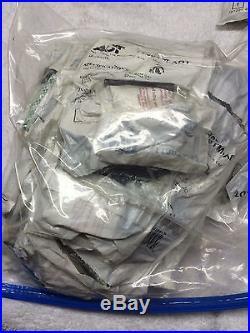 If you do receive the package, submit clear images of the packaging/box and damaged item from multiple angles. DO NOT discard the packaging. Save packaging for carrier claim. We cannot file a claim without the packaging and proper images. Thank you for your help and understanding. DO NOT lift up on the top plastic sheet or it’ll make a mess. Lift foam out of box by grabbing 2nd plastic sheet from both sides. If you accidentally peel the top plastic off, exposing the foam, just look for the next layer of plastic to lift the foam out cleanly. Cash is only accepted for will-calls. The item “LOT OF 7 Sentrol 1085WN-ADT 1.5 Closed Loop 100VAC 7.5W Surface Mount Contact” is in sale since Saturday, June 04, 2016. This item is in the category “Home & Garden\Home Improvement\Home Security\Security Systems”. The seller is “svcstore” and is located in Milpitas, California. This item can be shipped worldwide. 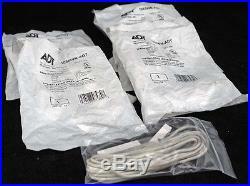 LOT OF 7 Sentrol 1085WN-ADT 1.5 Closed Loop 100VAC 7.5W Surface Mount Contact. New Other(see details). All parts, accessories, cables, etc. Are only included if pictured or listed in description. THESE UNITS ARE NEW OPENED BAG UNITS. 6x NEW opened bag packaging. 1x NEW with packaging (missing screws). Box Dimensions (L” x W” x H): 8 x 8 x 8. On a scale from 1 – 10, with 10 being in new or excellent condition, this item is rated as a. Please review images thoroughly before purchasing. Additional information may be found searching online. We do not have additional info. Only pictured items will be included. All parts, including accessories and cables. Pictured or listed in the description. All pictures are taken in house. As a large liquidator, we do not carry additional information beyond what has been provided to us above. DEVICES only and not for all our products. The sale of this item may be subject to regulation by the U. Food and Drug Administration and state and local regulatory agencies. This unit has been used. It has been cleaned in accordance with the manufacturers guidelines by the medical facility from which we received it. Our Contact: SVC ASSET MANAGEMENT, INC. Let us save you time & aggravation by showing you the true meaning of customer service! We’ve been in business for over a decade. Your satisfaction is extremely important to us. We strive for excellence and appreciate the opportunity to work with you in resolving any issues. Since we’re a liquidation house that deals with many vendors and have thousands of products online, it stands to reason that issues will arise occasionally. We’re eager to find an amicable solution when it does. We know you have a choice and appreciate your business. Let us earn your loyalty! DOA stands for Dead On Arrival, meaning that the item did not function properly when it arrived. Please read below for exclusions. Toner, ink cartridges, bulbs, batteries, all As-Is items, missing accessories not stated in our ad as pictured, any and all compatibility issues, etc. Compatibility issues are not considered DOA. Please check with your country’s requirements before purchasing. Please call to verify we’ve received your request. International customers must arrange for their own carrier pick-up. If you do receive the package, submit clear images of the packaging/box and damaged item from multiple angles. DO NOT discard the packaging. Save packaging for carrier claim. We cannot file a claim without the packaging and proper images. Thank you for your help and understanding. DO NOT lift up on the top plastic sheet or it’ll make a mess. Lift foam out of box by grabbing 2nd plastic sheet from both sides. If you accidentally peel the top plastic off, exposing the foam, just look for the next layer of plastic to lift the foam out cleanly. Cash is only accepted for will-calls. The item “LOT OF 7 Sentrol 1085WN-ADT 1.5 Closed Loop 100VAC 7.5W Surface Mount Contact” is in sale since Monday, May 23, 2016. This item is in the category “Home & Garden\Home Improvement\Home Security\Security Systems”. The seller is “svcstore” and is located in Milpitas, California. This item can be shipped worldwide. LOT OF 7 Sentrol 1085WN-ADT 1.5 Closed Loop 100VAC 7.5W Surface Mount Contact. New Other(see details). All parts, accessories, cables, etc. Are only included if pictured or listed in description. THESE UNITS ARE NEW OPENED BAG UNITS. 6x NEW opened bag packaging. 1x NEW with packaging (missing screws). Box Dimensions (L” x W” x H): 8 x 8 x 8. On a scale from 1 – 10, with 10 being in new or excellent condition, this item is rated as a. Please review images thoroughly before purchasing. Additional information may be found searching online. We do not have additional info. Only pictured items will be included. All parts, including accessories and cables. Pictured or listed in the description. All pictures are taken in house. As a large liquidator, we do not carry additional information beyond what has been provided to us above. DEVICES only and not for all our products. The sale of this item may be subject to regulation by the U. Food and Drug Administration and state and local regulatory agencies. This unit has been used. It has been cleaned in accordance with the manufacturers guidelines by the medical facility from which we received it. Our Contact: SVC ASSET MANAGEMENT, INC. Let us save you time & aggravation by showing you the true meaning of customer service! We’ve been in business for over a decade. Your satisfaction is extremely important to us. We strive for excellence and appreciate the opportunity to work with you in resolving any issues. Since we’re a liquidation house that deals with many vendors and have thousands of products online, it stands to reason that issues will arise occasionally. We’re eager to find an amicable solution when it does. We know you have a choice and appreciate your business. Let us earn your loyalty! DOA stands for Dead On Arrival, meaning that the item did not function properly when it arrived. Please read below for exclusions. Toner, ink cartridges, bulbs, batteries, all As-Is items, missing accessories not stated in our ad as pictured, any and all compatibility issues, etc. Compatibility issues are not considered DOA. Please check with your country’s requirements before purchasing. Please call to verify we’ve received your request. International customers must arrange for their own carrier pick-up. If you do receive the package, submit clear images of the packaging/box and damaged item from multiple angles. DO NOT discard the packaging. Save packaging for carrier claim. We cannot file a claim without the packaging and proper images. Thank you for your help and understanding. DO NOT lift up on the top plastic sheet or it’ll make a mess. Lift foam out of box by grabbing 2nd plastic sheet from both sides. If you accidentally peel the top plastic off, exposing the foam, just look for the next layer of plastic to lift the foam out cleanly. Cash is only accepted for will-calls. The item “LOT OF 7 Sentrol 1085WN-ADT 1.5 Closed Loop 100VAC 7.5W Surface Mount Contact” is in sale since Wednesday, April 20, 2016. This item is in the category “Home & Garden\Home Improvement\Home Security\Security Systems”. The seller is “svcstore” and is located in Milpitas, California. This item can be shipped worldwide. I did not open any to test the alcohol swabs or adhesive on the contacts, but they come with screws that can be used for mounting. 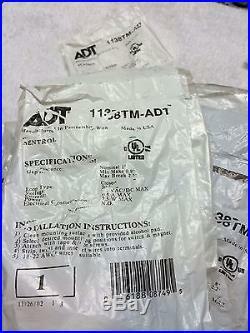 The item “SENTROL CONTACTS WithTERMINALS 1138TM-ADT NEW (50)” is in sale since Saturday, April 16, 2016. This item is in the category “Home & Garden\Home Improvement\Home Security\Security Systems”. The seller is “thealarmguy2015″ and is located in Jacksonville, Florida. This item can be shipped to United States, to Canada, to United Kingdom, DK, RO, SK, BG, CZ, FI, HU, LV, LT, MT, EE, to Australia, GR, PT, CY, SI, to Japan, to China, SE, KR, ID, to Taiwan, ZA, TH, to Belgium, to France, to Hong Kong, to Ireland, to Netherlands, PL, to Spain, to Italy, to Germany, to Austria, RU, IL, to Mexico, to New Zealand, PH, SG, to Switzerland, NO, SA, UA, AE, QA, KW, BH, HR, MY, TR, CL, CO, CR, DO, PA, TT, GT, SV, HN, JM. I did not open any to test the alcohol swabs or adhesive on the contacts, but they come with screws that can be used for mounting. The item “SENTROL CONTACTS WithTERMINALS 1138TM-ADT NEW (50)” is in sale since Tuesday, March 08, 2016. This item is in the category “Home & Garden\Home Improvement\Home Security\Security Systems”. The seller is “thealarmguy2015″ and is located in Jacksonville, Florida. This item can be shipped to United States, to Canada, to United Kingdom, DK, RO, SK, BG, CZ, FI, HU, LV, LT, MT, EE, to Australia, GR, PT, CY, SI, to Japan, to China, SE, KR, ID, to Taiwan, ZA, TH, to Belgium, to France, to Hong Kong, to Ireland, to Netherlands, PL, to Spain, to Italy, to Germany, to Austria, RU, IL, to Mexico, to New Zealand, PH, SG, to Switzerland, NO, SA, UA, AE, QA, KW, BH, HR, MY, TR, CL, CO, CR, DO, PA, TT, GT, SV, HN, JM.